Tuna Nigiri shown above. 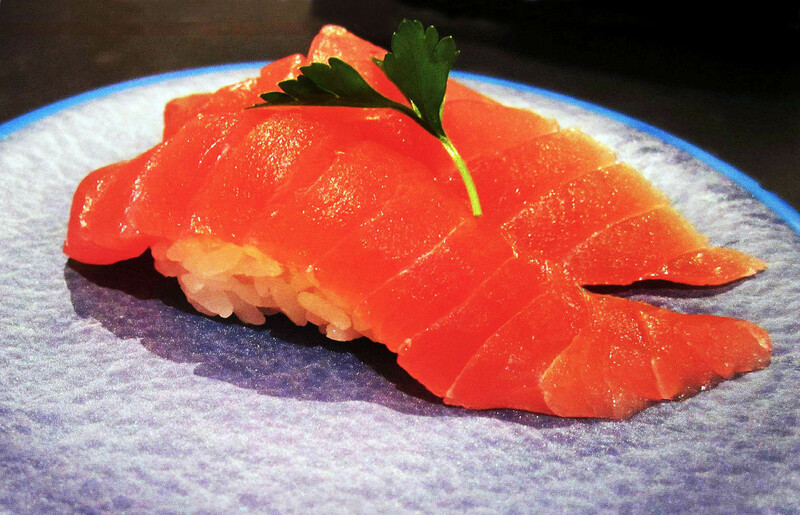 The texture of the tuna was quite different because of how fresh it was – most likely direct from the fish markets, it was thinly sliced so it was much easier to eat and very soft. Makoto Sushi Bar is without a doubt probably the best place to get fresh sushi in Sydney, no where in Sydney can match it in terms of the menu and overall taste/freshness (some places get close though!). We have been to the Chatswood branch a while back but we weren’t blogging at the time so we decided to visit the CBD store and write about our experience. 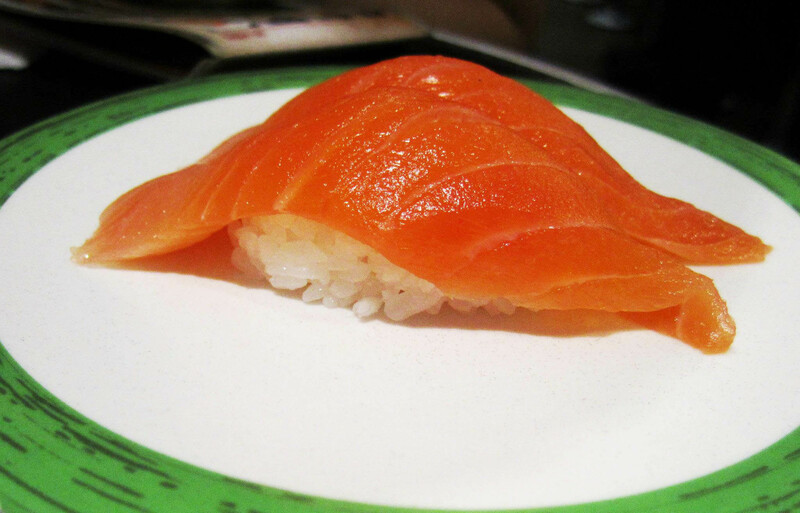 I’ve eaten a lot of good Salmon sushi in my life, so can’t say this was anything special. 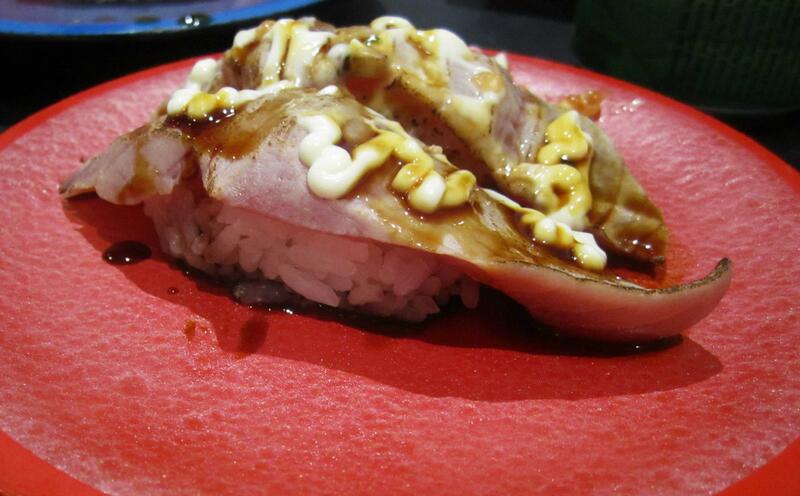 Though it was fresh and icy and tastes best with soy sauce & wasabi. I’ve had tuna sashimi and tuna belly, never have I had GRILLED tuna before. And this has left a deep impression for me. Not only did the grill have a smoky smell and taste of the tuna, but its serving sauce was exceptionally mouthwatering! A bit sweet and slightly salty, this has got to be the best grilled tuna/salmon I’ve had compared to any Japanese restaurants we’ve been to. 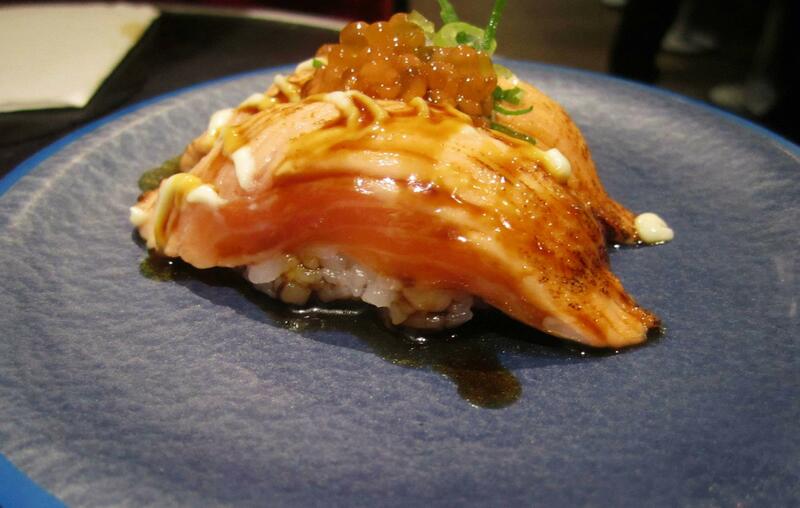 Sushi Hotaru serves a distinctive grilled salmon, but their sauce won’t be able to compare to Makoto Sushi Bar. Definitely recommend this as well as grilled salmon. 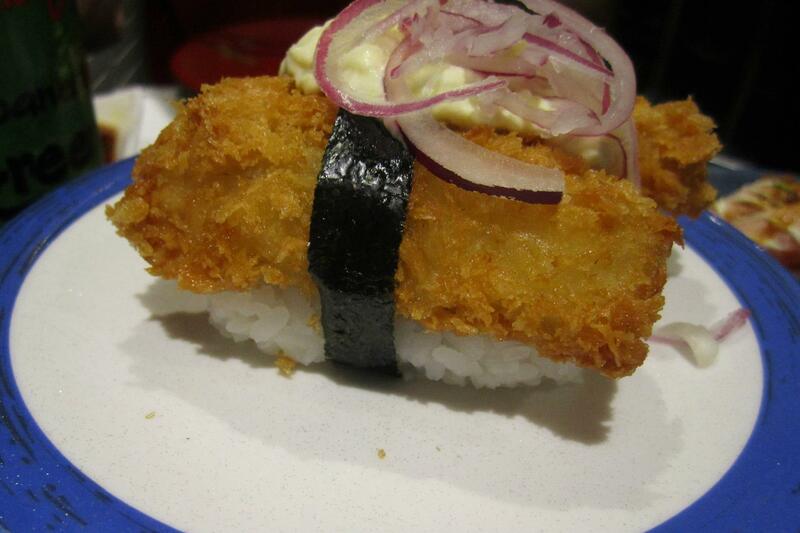 Quite an interesting sushi, though it seemed to taste like Fish and Chips style to me BUT the mouthwatering mayo sauce made up for it! Great dish regardless. I was still hungry from the above dishes so Mr C ordered this especially for me 🙂 Very very strong prawn taste, obviously because it was just filled with prawns, no rice. 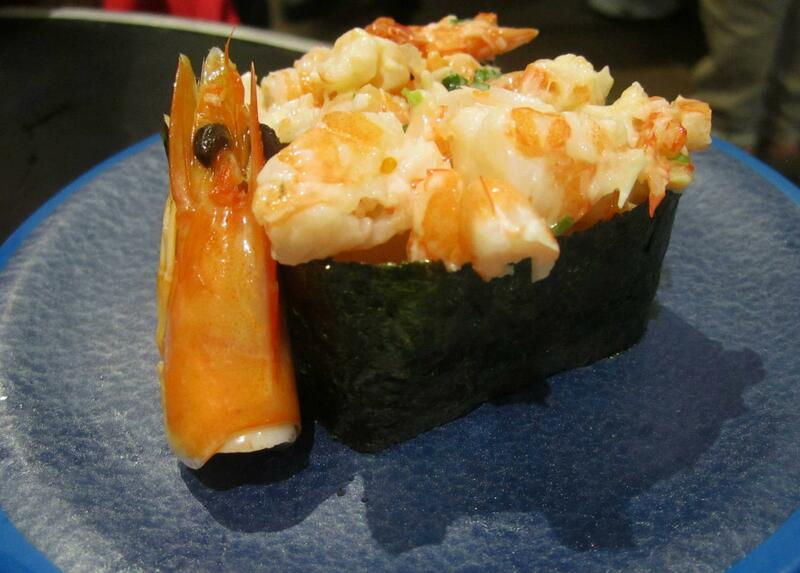 (Not that I remember) I personally enjoyed this distinctive sushi, I’ve always been a seafood eater. 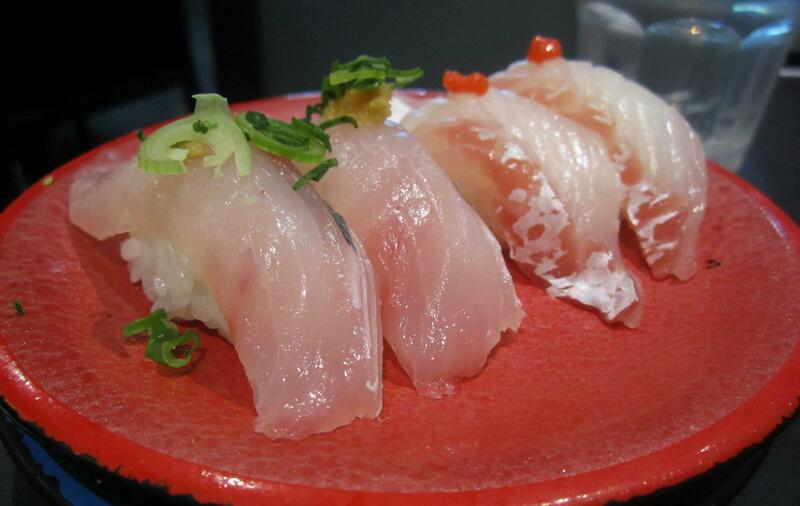 Makoto Sushi Bar is a must try for sushi-lovers, you won’t regret coming here. The prices are quite reasonable ($2.5-4.5 approx.) but this also results in longer waiting times on Friday and Saturday nights. A friend once recommended this place so I tried to find it when I was in Sydney a few months ago. I’m usually good with directions but for some reason, struggled to locate Makoto so I ended up not going. Ugh. My bad. I will try again the next time I’m up though! Everything looks so fresh and delicious!